As you can see, we had a marvelous weekend! We planned a sleepover with my little sister. She came with us to a comedy club, and then Saturday morning we walked to our first farmers market. We thought we would start a new tradition for our little family (me, the mister, and nugs). The Mister was so happy to see me in my element. There is just something about supporting local and small businesses, seeing the people that grow the food, who can tell you stories about their growing season, it is just amazing. So connecting and real. 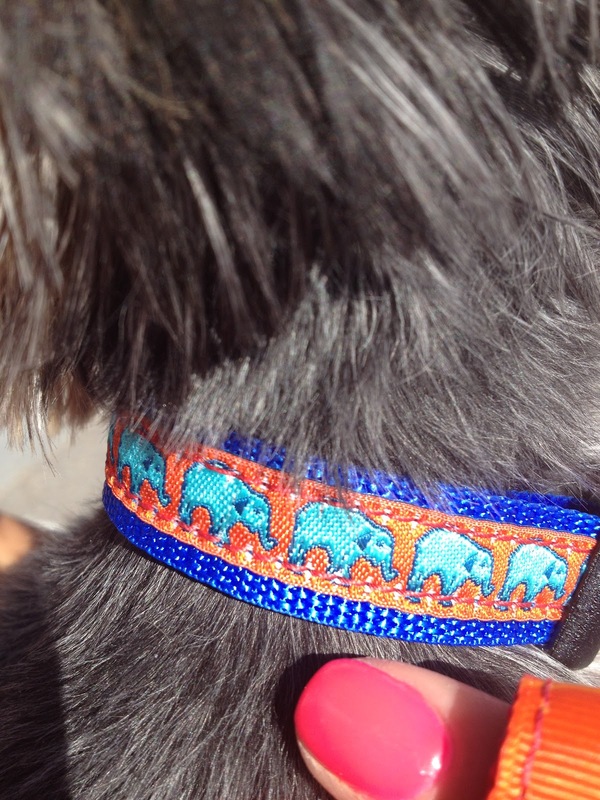 Oh, we found our three month old Nugs an elephant collar! It looks adorable on her. #sweetthang Thank you mister, for getting our baby the best little leash & collar I have ever seen. We also got some fresh produce, a potted herb garden, organic soap, & even some organic Chapstick. The walk home was uber hot, but so worth the experience!